6205-6.35 Laser Hot Hits Via Magic 6205 Or Own Tx?. Music From Billy J Kramer, ELO And The Human League. Strong Signal Sinpo 54444. Faded Out By 7.00 And Back At 8.05. Unfortunately the IRRS had a major technical fault on there Continental Short Wave Transmitter on Friday that hopefully will be repaired next week. EMR will return next month with a full Short-wave schedule. http://nednl.net:8000/emr24.m3u will be 24 kbps / 22KHz mono will be especially for low bandwidth like mobile phones. Friday September 18th at 18 - 19 UTC on 7290 via IRRS and on 846 and 1368 kHz via Challenger Radio in Padova, Italy, repeated on Saturday September 19th at 08 - 09 UTC on 9510 kHz via IRRS. The next planned relay via Hamburger Lokalradio will be the following Saturday September 26th at 12 - 13 UTC on 7265 kHz. Every Saturday evenings at 19 - 20 UTC there is a separate programme via Radio Merkurs, Riga, Latvia on 1485 kHz. European Music Radio is on the air this Saturday night between 18.00 to 18.45 UTC on 7290 KHz via the IRRS with 150 KW. MV Baltic Radio, Hamburger Lokal Radio and Channel 292 will be off air this weekend. 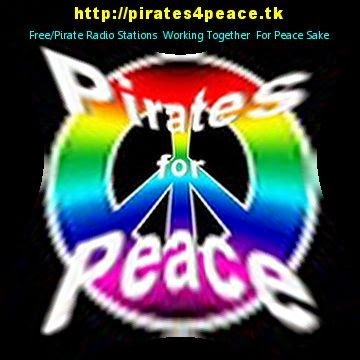 Hi, due some problems with our audio feedline to tx last Sunday we take our chance to try again this week. So I wish we mannage better this time to kill Bad Old Spaceshuttle finally. 13600 kHz Sunday 13th September 2015 19-20 UTC. 4. Best ever Spaceshuttle music- worth of listening and recording. This will be your "Once in Lifetime" change to hear Radio Spaceshuttle and sent reception report. Special e-mail QSL is ready to sent to you- you will got yours very soon after this transmission- if getting your report during Sunday- your QSL is on your post during Monday 7th of September. Also reports wanted to our Herten Box- will be verified with printed QSL. Many thanks for all regular listeners as well to new ones.... It has been so fun with you. A little fee (2 euros) for return postage (for full info printed QSLs) is needed! Channel 292 will be off air on the 19/09 and 20/09 for maintenance. Next Sunday will see a full repeat of the August 30th FRS broadcast on 48 metres. Start will be once again at 17:52 UTC/ 19:52 CEST. Another evening full of musical memories and radio related items....the 'old fashioned' true sound of short wave free radio. For full details including some facts from last Sunday's broadcast surf to [http://www.frsholland.nl/20-latest-news/91-frs-summer-evening-broadcast-2.html ]. 73s Peter Verbruggen (on behalf of Jan, Dave, Paul, Roger & Brian).